A set of high-quality sci-fi themed assets with a focus on zero gravity environments with ultimate visual quality and great, customizable materials. 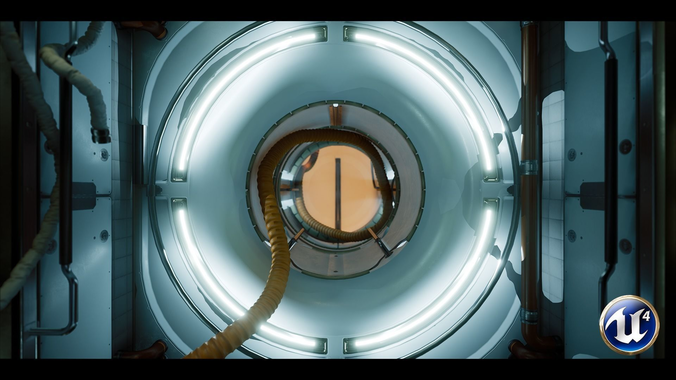 The first installment of the Zero Gravity asset series. Designed for high-end desktops, the package provides you with the tools to build stunning sci-fi themed environments, and with the combination of Unreal's powerful material system, tune the mood of your environment from brand new, to old and abandoned. The package features static meshes with face weighted normals, tiling base materials, and detail decals to ensure the best possible visual quality even at very close distances. Base materials feature multiple parameters such as; Base Roughness, Roughness variation, Material color, color variation, Material variation ( create cracked or chipped paint etc), texture and variation sizes etc. All source materials for static meshes and textures available on request. Quality wise this pack is really good. Developers are responsive as well !!!. My only gripe so far is that the collisions are pretty useless. I simply can't get through (Meshes use simple box collisions) which I find odd since I'm pretty sure this is aimed for gameplay integration. Another issue I found is that I don't think the meshes have been tested in any way for actual gameplay. The base mannequin can't pass some of the entries, and doesn't fit the tunnel meshes at all. Pretty glaring mistake and problem. I was happy until I tested further and I most likely will end up upscaling these meshes to fit the character capsule collision. Great response to a complaint on my end. Very prompt.